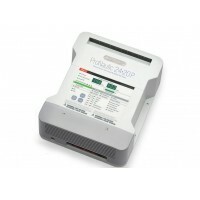 ProMariner Battery Chargers	There are 29 products. 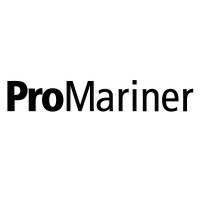 ProMariner Battery Chargers - Professional Mariner was founded over 35 years ago with one premise; to make boating more enjoyable! They pioneered a robust line of fully automatic, on-board marine battery chargers that provided the marine industry with a mainstream method of charging batteries in a short time without the need for storing or carrying portable battery chargers on-board. 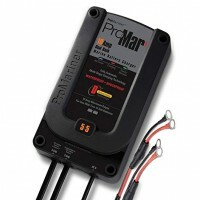 ProMariner ProMar1 5 Amp Single Marine Battery Charger incorporates solid state and fully automatic technology that eliminates the need to use portable battery chargers to charge each battery onboard one by one. Its compact design is lightweight and pre-wired for quick and easy installation. Mount it, plug it in and forget it. Volts: 12. DC Amps: 5. MFG: 31405. 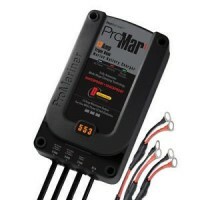 ProMariner ProMar1 10 Amp Dual marine battery charger incorporates solid state and fully automatic technology that eliminates the need to use portable battery chargers to charge each battery onboard one by one. Its compact design is lightweight and pre-wired for quick and easy installation. Mount it, plug it in and forget it. Volts: 12/24. DC Amps: 10. MFG: 31410. ProMariner ProMar1 13 Amp Triple marine battery charger incorporates solid state and fully automatic technology that eliminates the need to use portable battery chargers to charge each battery onboard one by one. 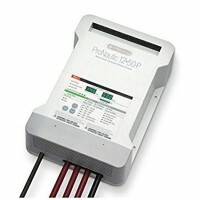 Its compact design is lightweight and pre-wired for quick and easy installation. Mount it, plug it in and forget it. Volts: 12/24+ENG. DC Amps: 13. MFG: 31413. 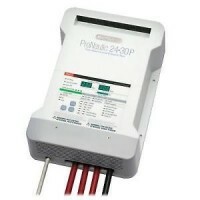 ProMariner Next Generation Pro Sport 20 marine Battery Charger incorporates all-digital microprocessor control. 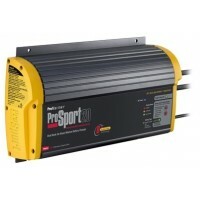 Like no other, the new ProSport Series provides automatic installation feedback with its exclusive "System Check OK" and individual "Battery Bank Trouble" LED indicators, and also has the most advanced energy saving mode. Volts: 12/24. LED display of system check, battery bank status. MFG: 42028. 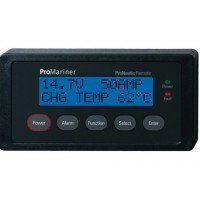 ProMariner Gen 3 Pro Sport 6 marine Battery Charger incorporates all-digital microprocessor control. 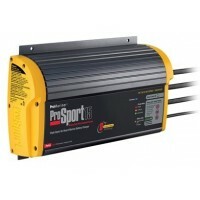 Like no other, the new ProSport Series provides automatic installation feedback with its exclusive "System Check OK" and individual "Battery Bank Trouble" LED indicators, and also has the most advanced energy saving mode. Volts: 12. LED display of system check, battery bank status. MFG: 43006. 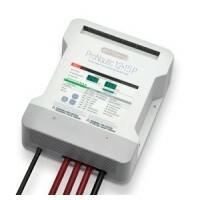 ProMariner Gen 3 Pro Sport 12 marine battery charger incorporates all-digital microprocessor control. 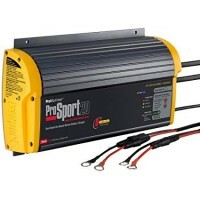 Like no other, the new ProSport Series provides automatic installation feedback with its exclusive "System Check OK" and individual "Battery Bank Trouble" LED indicators, and also has the most advanced energy saving mode. Volts: 12/24. DC Amps: 12. MFG: 43012. 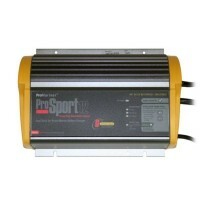 ProMariner Gen 3 Pro Sport 15 marine battery charger incorporates all-digital microprocessor control. 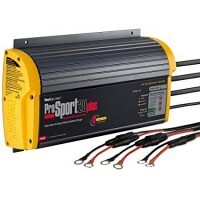 Like no other, the new ProSport Series provides automatic installation feedback with its exclusive "System Check OK" and individual "Battery Bank Trouble" LED indicators, and also has the most advanced energy saving mode. Volts: 12/24/36. DC Amps: 15. MFG: 43015. 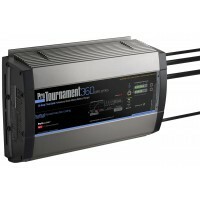 ProMariner Gen 3 Pro Sport 20 marine battery charger incorporates all-digital microprocessor control. Like no other, the new ProSport Series provides automatic installation feedback with its exclusive "System Check OK" and individual "Battery Bank Trouble" LED indicators, and also has the most advanced energy saving mode. Volts: 12/24. DC Amps: 20. MFG: 43020. 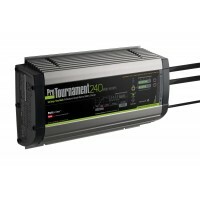 ProMariner Gen 3 Pro Sport 20 Triple marine battery charger incorporates all-digital microprocessor control. Like no other, the new ProSport Series provides automatic installation feedback with its exclusive "System Check OK" and individual "Battery Bank Trouble" LED indicators, and also has the most advanced energy saving mode. Volts: 12/24/36. DC Amps: 20. MFG: 43021. 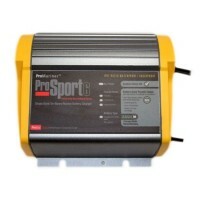 ProMariner Next Generation Pro Sport 6 PFC - Universal AC marine battery charger incorporates all-digital microprocessor control. Like no other, the new ProSport Series provides automatic installation feedback with its exclusive "System Check OK" and individual "Battery Bank Trouble" LED indicators, and also has the most advanced energy saving mode. Volts: 12. DC Amps: 6. MFG: 43023. 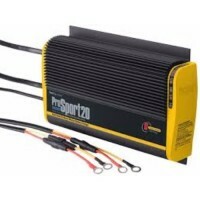 ProMariner Next Generation Pro Sport 12 PFC - Universal AC marine battery charger incorporates all-digital microprocessor control. 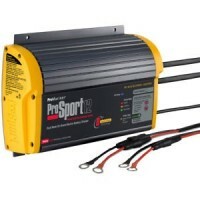 Like no other, the new ProSport Series provides automatic installation feedback with its exclusive "System Check OK" and individual "Battery Bank Trouble" LED indicators, and also has the most advanced energy saving mode. Volts: 12/24. DC Amps: 12. MFG: 43026. 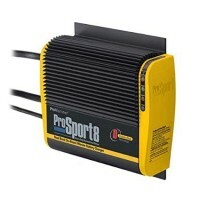 ProMariner Next Generation Pro Sport 20 PFC - Universal AC marine battery charger incorporates all-digital microprocessor control. 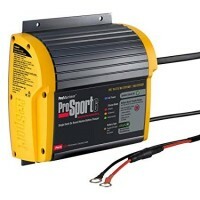 Like no other, the new ProSport Series provides automatic installation feedback with its exclusive "System Check OK" and individual "Battery Bank Trouble" LED indicators, and also has the most advanced energy saving mode. Volts: 12/24. DC Amps: 20. MFG: 43028. 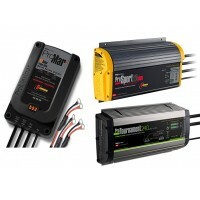 ProMariner Next Gen ProSport 20 + Triple, PFC - Universal AC marine battery charger incorporates all-digital microprocessor control. Like no other, the new ProSport Series provides automatic installation feedback with its exclusive "System Check OK" and individual "Battery Bank Trouble" LED indicators, and also has the most advanced energy saving mode. Volts: 12/24/36. DC Amps: 20. MFG: 43029. 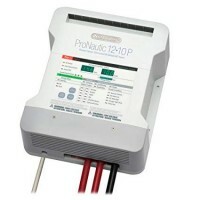 PROMARINER ProNautic 1210P combines all digital control and software-based energy conversion technology with global energy management functions. It also addresses the trend of incorporating and using more 12 volt electronic devices on board today's fishing, sailing, cruising and sportfishing vessels. 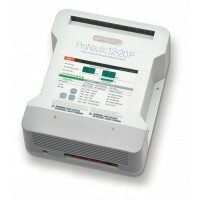 PROMARINER ProNautic 1220P combines all digital control and software-based energy conversion technology with global energy management functions. It also addresses the trend of incorporating and using more 12 volt electronic devices on board today's fishing, sailing, cruising and sportfishing vessels. 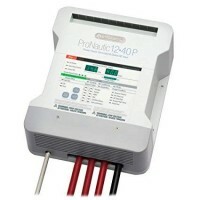 PROMARINER ProNautic 1215P combines all digital control and software-based energy conversion technology with global energy management functions. It also addresses the trend of incorporating and using more 12 volt electronic devices on board today's fishing, sailing, cruising and sportfishing vessels. PROMARINER ProNautic 1230P combines all digital control and software-based energy conversion technology with global energy management functions. It also addresses the trend of incorporating and using more 12 volt electronic devices on board today's fishing, sailing, cruising and sportfishing vessels. PROMARINER ProNautic 1240P combines all digital control and software-based energy conversion technology with global energy management functions. It also addresses the trend of incorporating and using more 12 volt electronic devices on board today's fishing, sailing, cruising and sportfishing vessels. PROMARINER ProNautic 1250P combines all digital control and software-based energy conversion technology with global energy management functions. It also addresses the trend of incorporating and using more 12 volt electronic devices on board today's fishing, sailing, cruising and sportfishing vessels. PROMARINER ProNautic 1260P combines all digital control and software-based energy conversion technology with global energy management functions. It also addresses the trend of incorporating and using more 12 volt electronic devices on board today's fishing, sailing, cruising and sportfishing vessels. 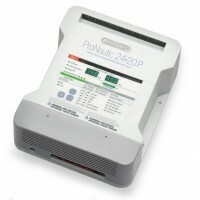 PROMARINER ProNautic 2420P combines all digital control and software-based energy conversion technology with global energy management functions. It also addresses the trend of incorporating and using more 12 volt electronic devices on board today's fishing, sailing, cruising and sportfishing vessels. PROMARINER ProNautic 2430P combines all digital control and software-based energy conversion technology with global energy management functions. It also addresses the trend of incorporating and using more 12 volt electronic devices on board today's fishing, sailing, cruising and sportfishing vessels. 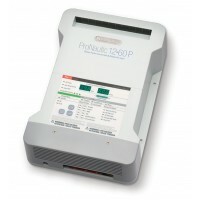 PROMARINER PFC ProNautic Remote is an LCD screen with control pushbutton that is used with ProNautic P battery chargers.